The Connelly’s Academy mission: to reach, teach and inspire the families of our community with the beauty and transformative power of classical Martial Arts. Connelly’s Academy is a community-based organization with over 30 years of service to children, teens and adults. We partner with area schools and other community institutions to provide enjoyable training in classical martial arts. Our emphasis is on mutual support, development of skills and personal growth. Benefits to students include improvements in fitness, self-confidence, character and leadership. Read our article in the Evanston Review . All classes are safe, challenging and guided by the traditional values of mutual respect and responsibility between students and instructors. Progression from beginner to advanced belt rank is based on improvement in specific skills and readiness to accept the responsibility that comes with rank — to be a leader to less advanced students. Earning a black belt from Connelly’s Academy reflects genuine, sustained accomplishment. Our instructors are experienced martial arts educators. All are personally committed to providing each individual student with the guidance to overcome their challenges and accomplish their training goals. We have classes designed to serve people at all levels of ability, from accomplished athletes to physically challenged individuals. Our goal is for all of our students to succeed together. 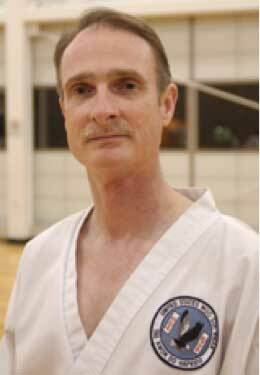 Grandmaster Connelly is a professional Martial Art Educator with 49 years of experience to share with his students. He is nationally recognized for pioneering and creation of success based Martial Arts programming for special needs and handicapped populations. Grandmaster Connelly was recently invited to serve on the Board of Directors of the Korean Hapkido Association of China, headquartered in Beijing, China. He is a founding member and Midwest Director for Kidpower International™, a not-for-profit organization providing experienced based self-protection skills for kids, teens and adults. Find out more about our local center at www.kidpowerchicago.org. We have programs designed to meet the needs of people at all levels of ability, from accomplished athletes to physically challenged individuals. Connelly’s Academy reflects the diversity of the community it serves. The attitude of mutual respect between students and instructor provides a unique opportunity to study Taekwon-do in a safe, non-competitive environment. We also provide instruction in Hapkido and Kumdo. We also offer summer camp.